Your guests will be excited with anticipation when you send these sophisticated invitations. Perfect for so many 'grown up' functions. 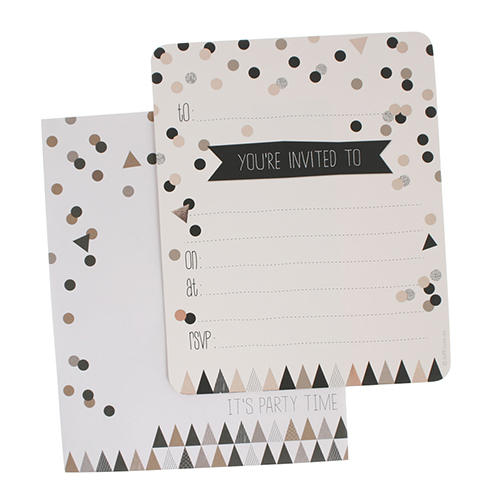 Featuring the on trend confetti theme, contrasting matt black with metallic copper gold foil, the pack includes 20 party invitations and matching envelopes. Size (mm | inches): 155 x 125 | 6 1/8" x 4 7/8"